The Society of Medical Biochemists of Serbia (SMBS) on May 15, 2015 will celebrate 60-year anniversary. 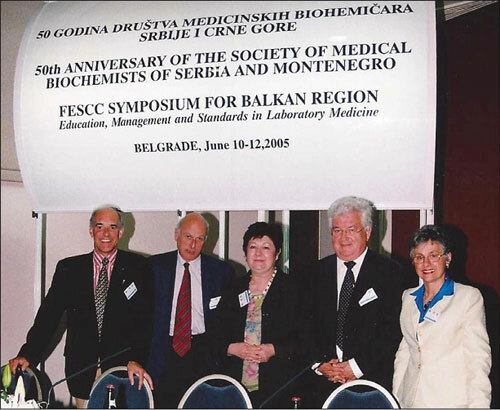 In 2005 the Society of Medical Biochemists of Serbia (SMBS) celebrated 50 years of its existence and work, and on that occasion the IFCC awarded the Society a prize for serving and supporting Clinical Chemistry and Laboratory Medicine both in Serbia and globally. 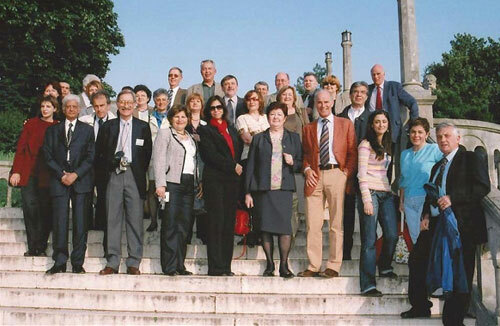 For the occasion of the 50th anniversary, the Society organized the First FESC Symposium for the Balkan region (Belgrade, June 2005) on Education, Management and Standards in Laboratory Medicine with important participants from the IFCC, FESCC and EC4. 11th EFLM Symposium for Balkan region under the title "Laboratory Medicine Specialist focuses on the Patients Wellbeing" will be organized on May 15, 2015 during the celebration days of 60-year aniversary with par- ticipation of the European and domestic specialists in field of education, accreditation, quality manage- ment, quality indicators, continuing medical educa- tion and patient safety in laboratory medicine. The Society of Medical Biochemists of Serbia (former Yugoslavia – YuSMB) was established in 1955, although medical biochemists (clinical chemists) in Serbia had already joined together in professional associations after World War II. Even before 1950, the Pharmaceutical Society of Serbia hosted laboratory experts, among whom the most active were Prof. Dr. Aleksandar Damanski in Bromatology, Prof. Dr. Momčilo Mokranjac in Toxicology and Assistant Professor Dr. Pavle Trpinac in Biochemistry. Firstly, the Section for Sanitary Chemistry of the Serbian Pharmaceutical Society, combining medical biochemists, sanitary chemists and toxicologists, was founded on January 1st, 1951. Later on this Section grew to become the Serbian Section for Medical Biochemistry, the first President of which was Professor Dr. Pavle Trpinac. 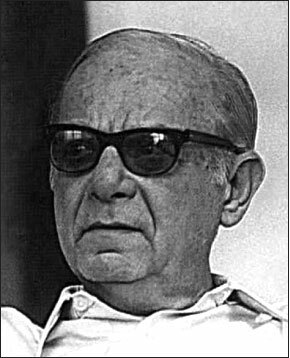 On 15 May 1955, during the Sixth Plenum of the Alliance of Pharmaceutical Societies of Yugoslavia held in Split, the decision was passed to set up Yugoslav Section for Medical Biochemistry of Yugoslav Pharmaceutical Society that was renamed into Yugoslav Society for the Medical Biochemistry during Society Meeting held on 15th May 1965 in Banjaluka. In May 1971, the Society of Medical Biochemists of Yugoslavia became the 28th member of the International Federation of Clinical Chemistry (IFCC). At that time the president of YuSMB was Tatjana Plećaš-Drljača. 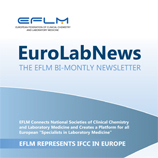 The Society of Medical Biochemists of Serbia and Montenegro becomes also a member of the FESCC, now European Federation for Clinical Chemistr y and Laborator y Medicine (EFLM) and the regional Balkan Clinical Laboratory Federation (BCLF) organization. In 2006 the Society was renamed to the Society of Medical Biochemists of Serbia (SMBS). The Society is run by the Executive Board and the Assembly and acts through various committees for: science, education, standardization, organization and technolgy of laboratory services, quality control, as well as quality management ad accreditation, cooperation with industry, history of medical biochemistry and clinical chemistry, award committee, ethics committee, and committee for cooperation with IFCC, EFCC, BCLF, and related organization in country and abroad. Since its establishment the Society has undertaken significant activities in all fields of clinical chemistry according to the guidelines and orientation of the IFCC. The main activities of the Society are in the field of education, and the organization of laboratory services, external quality control, conferences and publishing. In collaboration with the Faculty of Pharmacy, the Society has devised education programs for undergraduate and postgraduate clinical chemists (master’s degree and residency) through which fulltime 5-year studies for medical biochemists and subsequent 4-year advanced training are being successfully completed. 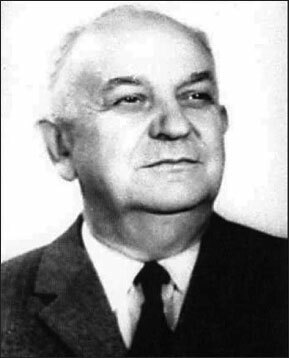 A very important role in establishing the specialization of medical biochemistry in Yugoslavia was played by Professor Ivan Berkeš as the founder of medical biochemistry and clinical enzymology. The Society of Medical Biochemists of Serbia has collaborated with the Ministry of Health for the organization of laboratory services within all segments of the healthcare service (primary, secondary, and tertiary healthcare) in terms of implementing plans of action, education, organization, equipment, etc. In addition, a program of external quality control has been carried out since 1965 within the laboratories organized by the Yugoslav Society of Medical Biochemists, recently called the SNEQAS program. External quality assessment is implemented throughout our health system, which allows continual improvement of the workflow in all clinical biochemical laboratories in Serbia. To improve and maintain the quality of services, the Society, together with the Institute of Medical Biochemistry of the Clinical Center of Serbia and the Accreditation Body of Serbia and Montenegro (ATS), started working on the introduction of a quality management system according to standard ISO 9001, and accreditation to ISO 17025 and ISO 15189. In all this activities special role had Professor Nada Majkić-Singh, the Society President. The Society is involved in significant publishing activity. Experts of the Society have participated in the preparation of published professional methodological guidebooks for the field of medical biochemistry through the Republic and Federal Ministries of Health. 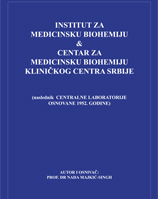 For over 20 years, the Society has published the journal "Jugoslovenska Medicinska Biohemija" (Yugoslav Medical Biochemistry), since 2007 known as Journal of Medical Biochemistry (http://www.degruyter.com/view/j/jomb), internationally recognized, as well as a series of books and scientific literature written by its members. It is worth mentioning that the Society published a monograph with the title "Development of Medical Biochemistry in Yugoslavia" (Majkić-Singh N, Đurđević J, Kavarić J, 1998) illustrating the development of medical biochemistry in our country since the Middle Ages. The first professional and scientific meeting of medical biochemists in Yugoslavia was held in 1955 in Zagreb, and the first Congress of Medical Biochemists of Yugoslavia was held in 1963 in the same town. Each new congress represented a step forward in the development of science and quality. At present, the Society is involved in the organization of congresses (biennial), and events such as Biochemical days (every year), and Innovations in laborator y medicine (every year, International Fair on Medical Equipment Medipharm, Belgrade). The XIXth Congress of Medical Biochemistry and Laboratory Medicine will be held this year in Belgrade (2014). The Society regularly organizes courses for continues medical education of clinical chemists. 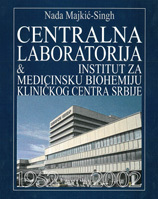 In addition, as a member of the Balkan Clinical Laboratory Federation, the Society of Medical Biochemists of Serbia organized three congresses of the Balkan Clinical Laboratory Federation, the Fourth Congress in 1996 in Budva and the 11th Congress (Belgrade, 2003) and 20th BCLF Congress (Belgrade, 2012). Plenary lectures presented at these congresses are published in the monograph Advances in Laboratory Medicine (YuSMB, 1996), "Yugoslav Medical Biochemistry" (2004), and Journal of Medical Biochemistry (2012). EFLM appointed the Society of Medical Biochemists of Serbia and Belgrade (Serbia) as the organizer of educational symposia for clinical chemists in the Balkan region and as a result of this decision nine symposia have been organized thus very successfully on different topics from the profession practice and laboratory medicine. 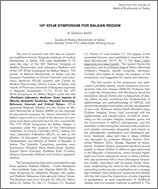 The 10th EFLM Symposium for Balkan Region will be held this year (2014) under the title "Pediatric Laboratory Medicine: Some Aspects of Obesity, Metabolic Syndrome, Neonatal Screening, Reference Intervals and Critical Values". The Congresses end Symposia are held under the auspices of the International Federation of Clinical Chemistr y and Laborator y Medicine (IFCC), European Federation of Clinical Chemistry and Laboratory Medicine (EFLM) and Balkan Clinical Laboratory Federation (BCLF), as well as the Ministry of Science and Health of the Republic of Serbia. 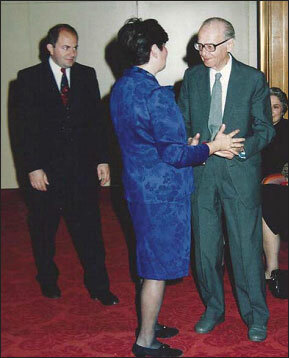 The Society established the "Professor Ivan Berkeš" Scientific Conference, devoted to the founder of clinical chemistry in Yugoslavia, which takes place in Belgrade every year (sixteen scientific conferences have been organized so far). 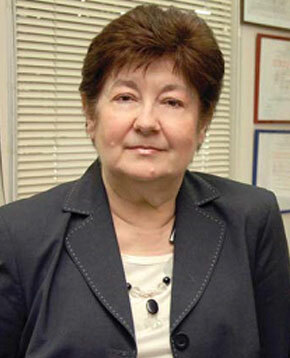 The Society of Medical Biochemists of Serbia founded also Magistra Milica Marković Fund. During the scientific and professional conferences organized each year the Society awarded the best students of the Pharmaceutical Faculty and clinical chemists, Society members. The Society has Centre for Continuing Medical Education who organized the education for medical and clinical chemists in Serbia. Ethics Committee takes care of personal and professional ethics or codes of behavior of the Society members. The Awards Committee recognizes and individual or organization who has made outstanding contribution to the Society, and promoting Clinical Chemistry and Laboratory Medicine in Serbia and globally. 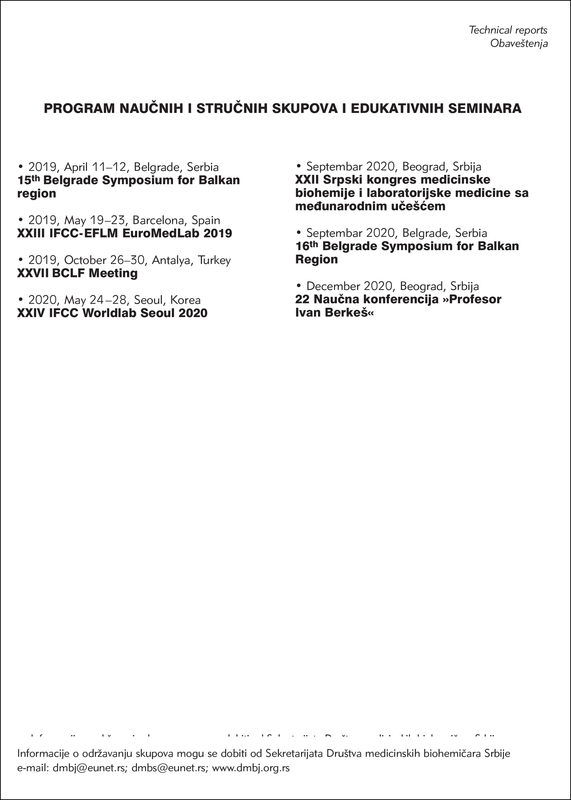 The members of the Society of Medical Biochemists of Serbia actively participate in all IFCC and other relevant Congresses and Conferences in the field of clinical chemistry and laboratory medicine. This participation promotes the implementation of standard procedures for diagnosis, forming of proto- col and implementing uniform organization in all lab- oratories in the country. The purpose of the SMBS is to engage all medical biochemists in the development and improvement of all the branches of medical biochemistry and labo- ratory medicine in the health service. Its tasks are as follows: to standardize operations in clinical biochem- ical laboratories, the education of young biochemists at all levels, to encourage scientific research, to set up working standards, and to implement ethics codes and monitor the compliance of health workers. The SMBS is also involved in promoting systemized standards in the field of medical biochemistry with the relevant republican institutions and in facilitating exchange of experience between its members with the members of affiliate associations at home and abroad. 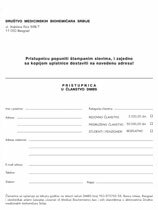 SMBS had the main role in the establishing and organization the Chamber of Biochemists of Serbia (2006) responsible for giving the license to all medical biochemists working in health service in Serbia. The Society of Medical Biochemists (http://www.dmbj.org.rs) has a wide net of regular members (over 700), associate members and student members. There is a growing tendency for other experts from related natural and medical disciplines to become members as well. 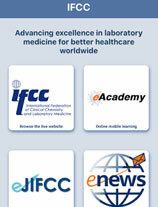 As a member of all the internation- al expert and scientific organizations for clinical chemistry and related disciplines, i.e., laboratory medicine (International Federation of Clinical Chemistry and Laboratory Medicine, IFCC; European Federation for Clinical Chemistry and Laboratory Medicine, EFLM, and the Balkan Federation of Clinical Laboratory, BCLF) the Society is involved in cooperation on an international scale. 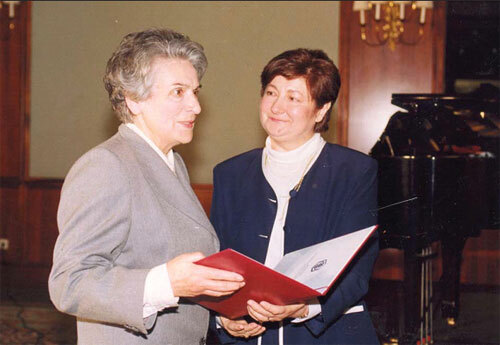 Since year 1988 to 2012 President of the Society has been Professor Nada Majkić-Singh, who was also the National IFCC Representative, and the General Secretary was Primaries Olivera Janković, who was the FESCC Representative of the Society. Currently the SMBS President is Dr Zorica [umarac, SMBS Director Professor Nada Majkić-Singh, who is IFCC and EFLM National Representative, and Pro- fessor Svetlana Ignjatović is BCLF Representative. 2. Lines J, Heeren J. IFCC Celebrating 50 Years. IFCC, 2002. 3. Majkić-Singh N. History of medical biochemistry in Yugoslavia. Clin Chem News 1990; 32: 43. 4. Majkić-Singh N. Clinical chemistryan independent discipline. Jug Med Biohem 1992;11:1–2. 5. Majkić-Singh N. Razvoj medicinske biohemije. Jug Med Biohem 1993; 12: 65–70. 6. Majkić-Singh N. Društvo medicinskih biohemičara Jugoslavije. Jug Med Biohem 1994;13:77–9. 7. Majkić-Singh N. Položaj i uloga medicinske biohemije u zdravstvenoj službi. Jug Med Biohem 1995;14:1–5. 8. Majkić-Singh, Đurđević J, Kavarić J. Razvoj medicinske biohemije u Jugoslaviji. Beograd: DMBJ, 1998. 9. Majkić-Singh N. Society of Medical Biochemists of Serbia and Montenegro: 50-year anniversary. Clin Chem Lab Med 2006; 44(2): 234–5. U Istanbulu je od 22–26. juna 2014. godine održan IFCC WORLDLAB ISTANBUL 2014 kongres na kome je učestvovao veliki broj članova Društva medicinskih biohemičara Srbije (DMBS). U okviru kongresa 26. juna 2014. g. održan je i 22nd Balkan Clinical Laboratory Federation Meeting (BCLF 2014) kojim je predsedavao Prof. Dr G. Benga iz Rumunije. Na Simpozijumu su održana četiri predavanja: Common urinalysis-current practices and future perspectives (Prof. Dr M. Shishenkov, Bugarska), Water channel proteins (aquaporins and relatives) in laboratory medicine (Prof. Dr G. Benga, Rumunija), Specific cellular elements of urine sediment in various kidney diseases (B. Gliši}, Srbija) i Cytomics-Immunomics (K. Psarra, Greece). Predstavnik Republike Srbije Biljana Glišić, spec. med. biohemije održala je predavanje pod nazivom Specific cellulaer elements of urine sediment in various kidney diseases u kome je prikazala tendencije u implemen- taciji novih celularnih elemenata kao biomarkera bolesti bubrega. Predavanje je bilo veoma zapaženo. Prof. Dr Nada Majkić-Singh je istog dana predsedavala sa J. Kappelmayerom Simpozijumu pod naslovom: New Strategies in the Diagnosis of Hematological Diseases, koji je obuhvatio 6 predavanja koja su se uglavnom odnosila na primenu flow citometrije i molekularne dijagnostike malignih hematioloških oboljenja. Prof. Dr Nada Majkić-Singh, kao nacionalni predstavnik učestvovala je 22. juna na celodnevnoj 22-oj Skupštini IFCC (The Twenty Second Triennial Meeting of IFCC Councel), na kojoj su razmatrana brojna pitanja organizacije IFCC-a i to Statuta, članstva u IFCC-u, i budućnosti IFCC-a u okviru sekcije "Shaping the Future of Laboratory Medicine". 23. juna učestvovala je u radu sastanka Editora međunarodnih časopisa kojim je predsedavao Prof. K. Adeli, chair of IFCC Communications and Publications Division na kome je iznela situaciju i aktivnosti oko izdavanja našeg časopisa Journal of Medical Biochemistry, koji se nalazi u bazi međunardonih časopisa. U sredu, 25. juna učestvovala je u radu International Scientific Advisory Borda-a EURO- MEDLAB PARIS 2015, a zatim na na sastanku BCLF Board Meeting-a. 26. juna učestvovala je u radu EC4 Komiteta (European Communities Confederation of Clinical Chemistry and Laboratory Medicine) na kome je iznela situaciju u našoj zemlji u prvom redu oko obrazovanja medicinskih biohemičara i usaglašavanja sa odredbama Evropske Unije i sa Equivalence of Standards/Common Training Framework (CTF). Prof. Dr Svetlana Ignjatović učestvovala je u radu IFCC Education and Management Division (23. juna) koji je razmatrao problematiku Developing Quality Competance in Medical Laboratories (DQCLM Project), zatim 22. juna IFCC Committee on Reference Systems on Enzymes C-RSE, koji je razmatrao referentnu metodu za lipazu i saradnju sa IRMM. Kao nacionalni predstavnik 25. juna učestvovala je u radu BCLF Board sastanka. Prof. Dr Tatjana Cvetković je kao član IFCC radne grupe za hroničnu bolest bubrega (IFCC/WASPaLM Task Force on Chronic Kidney Disease), 25. juna, prisustvovala sastanku na kome je predstavila rad naše struke, aktivnosti Komore biohemičara Srbije, rad i organizaciju laboratorijske službe a iznela je i poseban izveštaj vezan za metodologiju i određivanje kreatinina, cistatina C, MDRD formule za preračunavanje jačine glomerularne filtracije i postojanje nacionalnih vodiča. Slično izlaganje su imali i predstavnici drugih zemalja učesnica (Brazil, Južno Afrička Republika, Indija, Španija, Italija, Hrvatska, Australija, USA, Kanada, Amerika). Sastanak je vodio IFCC/WASPaLM Task Force on Chronic Kidney Disease Predsednik Prof. Dr Graham Jones, Staff Specialist in Chemical Pathology St Vincent’s Hospital, Sydney. 26. juna održan je i Simpozijum New Insights in Quality Management of the Total Testing Process, na kome je pored predavača: Prof. Dr M. Plebani (Italija), Prof. Dr O. Guzel (Turska), C. Galli (Italija) izlagala i Prof. Dr Ana-Maria Šimundić (Croatia), predsednik EFLM radne grupe za preanalitiku (EFLM WG-Preanalytical phase). U okviru svog predavanja, Prof. Dr Ana-Maria Šimundić je iznela podatke o veoma aktivnom radu grupe na promociji uloge kvaliteta u preanalitičkoj fazi, sprovođenju istraživanja iz oblasti preanalitike u velikom broju evropskih zemalja članica EFLM, kao i o publikovanju dobijenih rezultata ispitivanja u CCLM časopisu, adaptaciji postojećih CLSI vodiča, organizaciju 3rd EFLM-BD European Conference on Preanalytical Phase-Preanalytical quality improvementin pursuit of harmony, koji će se održati 20.–21. marta 2015. g. u Portu (Portugalija), kao i ostalim aktivnostima grupe. U radu EFLM WG-Preanalytical phase ispred Republike Srbije učestvuje Prim. Dr sc. 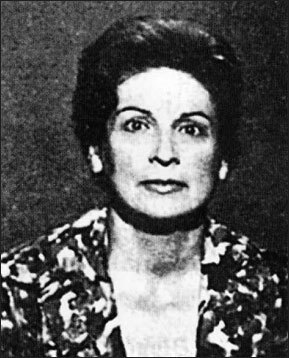 Zorica Šumarac. Deo predstavljenih aktivnosti na ovom Simpozijumu je sproveden i u velikom broju laboratorija u Republici Srbiji: upitnik o edukaciji fleboto- mičara, upitnik o primeni postupaka venepunkcije u skladu sa nacionalnim ili međunarodnim preporuka- ma, upitnik o kritičnim vrednostima, upitnik o komunikaciji između lekara i biohemičara, a čiji su rezultati prikazani na EFLM Simpozijumu za balkanski region (2012) i Evropskom Kongresu o preanalitici (2013) a biće prikazani i na XIX Kongresu medicinske biohemije i laboratorijske medicine sa međunarodnim učešćem u Beogradu (2014). Na istom Simpozijumu New Insights in Quality Management of the Total Testing Process, Prof. Mario Plebani (Italija) je u okviru svog izlaganja izneo i podatak o učešću Srbije u Projektu Indikatora kvaliteta. 23. juna u Hotel Round Table discussion focused on benefits and challenges in using plasma for clinical chemistry testing u Grand Hyatt Istanbul održan je poludnevni skup organizovan od strane BD Diagnostics-Preanalytical Systems, u kome su predstavnici više zemalja imali priliku da razmene svoja iskustva i mišljenja oko korišćenja seruma i plazme kao biološkog materijala, sa članovima Global Preanalytical Systems Medical Affairs team. Učesnici su pre okruglog stola ispunjavali upitnik o razlozima predominantnog korišćenja seruma ili plazme u laboratorijskoj dijagnostici. U radu okruglog stola učestvovala je Prim. Dr sc. 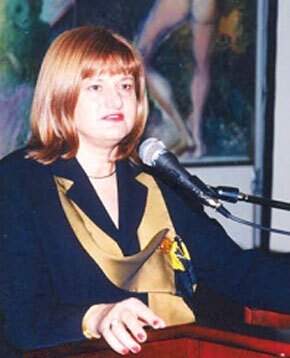 Zorica Šumarac. 25. juna na Simpozijumu How ISO 15189 has influenced laboratory testing?, radna grupa Evropske federacije za laboratorijsku medicinu (EFLM) "Patient Focused Laboratory Medicine" (PFLM-WG) prikazala je rezultate svog dosadašnjeg rada u vidu oralne i posterske prezentacije, sa naslovom "Current practice of reporting of test results and patient access to results among European countries" (I. Watson, S. Sandberg, J. Corberand, P. Jorgensen, W. Oosterhuis, J. Siodmiak, S. Jovičić, Z. G. Dikmen). Poslednjih godina sve je izraženije interesovanje pacijenata za sadržaj svojih medicinskih dokumentacija, uključujući i rezultate laboratorijskih analiza. To je pokrenulo diskusiju među laboratorijskim radnicima o adekvatnoj interpretaciji laboratorijskih rezultata koji se dostavljaju pacijentima. EFLM je propoznao ovakav trend i radi toga formirao PFLM-WG da bi sagledala mišljenja o tome u evropskim zemljama. Radna grupa je pripremila upitnik koji je prosleđen nacionalnim predstavnicima 39 zemalja članica EFLM krajem 2013. godine. Primljeni su odgovori iz 27 zemalja, među kojima je bila i Srbija, sa značajnim brojem učesnika. Prva analiza rezultata koja je prikazana ovom prilikom je pokazala potrebu za doslednosti u pitanjima vezanim za prava pacijenata da pristupe svojoj medicinskoj dokumentaciji i naglasila da mogu postojati pravne prepreke u nekim zemljama za direktan pristup pa- cijenata laboratorijskim rezultatima. Kao član u radu ove radne grupe iz Srbije učestvuje Dr sc. Snežana Jovičić. Na 22. Internacionalnom Kongresu kliničke hemije i laboratorijske medicine (IFCC Worldlab 2014) učestvovalo je 108 učesnika iz Srbije sa većim brojem postera. Medical biochemistry students' organization of the University of Belgrade School of Pharmacy, Team of Medical Biochemists (TMB), is the full member of the Belgrade Pharmacy Students' Association (BPSA). BPSA gathers pharmacy students of the University of Belgrade School of Pharmacy and represents their connection to National Association of Pharmacy Students – Serbia (NAPSer), which is the full member of the International Pharmaceutical Students' Federation (IPSF) and European Pharmaceutical Students' Association (EPSA). NAPSer is the top organization of pharmacy students of Serbia, among whose activities are the international student exchange, development of clinical skills and patient councelling events, following and comparison of curriculums of University Schools of Pharmacy in Serbia and the world, organization of congress, seminars, and workshops in order to enable professional development of pharmacy students according to current world trends in pharmacy. TMB's activities are consistent with BPSA's and NAPSer's, but adjusted to the field of interest and action of medical biochemistry students. Prof. dr Nada Majkić-Singh and dr Snezana Jovičić with medical biochemistry students, participants of the Sixth National Congress of Pharmacy Students of Serbia. The most important event among NAPSer's activities every year is the National Congress of Pharmacy Students, held at the end of the year. The topic of last years' congress, held 20–23 December 2013 on the mountain Zlatibor, was "Pharmacy practice – chances and challenges". TMB organized lecture and workshop for medical biochemistry students as part of the congress' program. 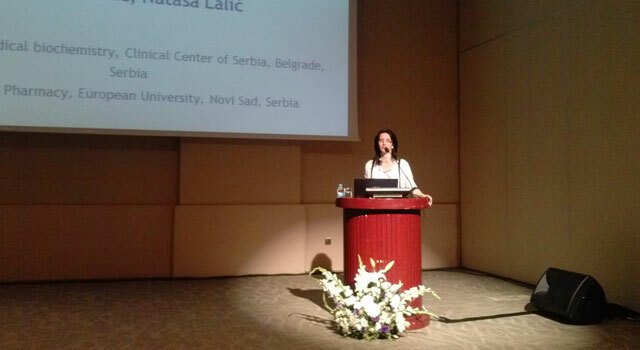 Prof. dr Nada Majkić-Singh was a speaker on this occasion, with the lecture "Medical Biochemist – The Role in Health care System". Prof. Majkić-Singh reminded the auditorium of the development of the profession of medical biochemist in Serbia, from the introduction of Medical Biochemistry course on University of Belgrade School of Pharmacy in 1939, through introducing the first vocational postgraduate training program for healthcare professionals in medical biochemistry in 1956, until the university graduate studies of medical biochemistry in 1986, and the 5-year studies according to Bologna principles. Also, the lecture presented the course of postgraduate training through vocational and PhD studies, and their harmonization with EFLM's EC4 Committee requirements for registration as European Specialists of Laboratory Medicine. Continuing the discussion on this topic, dr Snežana Jovičić was the speaker and moderator of the workshop entitled "Education and the Role of Medical Biochemist – Serbia and the World". In the first part, curriculum of medical biochemists' education in Serbia was compared with European countries, members of the EC4 Committee, and USA. The similarities and differences in the education were pointed out, as well as the employment possibilities in Serbia and abroad. Also, the skills and abilities necessary for successful carrier in medical biochemistry in different working environment (clinical laboratory, industry, commercial laboratory...) were summarized. Through panel discussion, students expressed their dilemmas concerning their future carriers, positions, and advancement within national healthcare and other educational systems.